I love that we are a wider community of individuals who care so much for the players, experiences and memories of the Hoosier girls game and basketball in general. As much as we love the game and all that is basketball, circumstances often remind us of the greater priorities in our lives and the lives of others. One circumstance that has recently grabbed the attention of Hoosiers and others around the nation is the plight of Henryville residents — young and old — who are trying to put their lives back together after a devastating and horrifying EF4 tornado ripped through their community and completely demolished Henryville Jr/Sr HIgh School on March 2nd. In all, 14 precious lives were lost in Southern Indiana as a result of the storm that day. The IHSAA, in an effort to aid the rebuilding efforts taking place in Henryville, has launched a donation campaign to raise funds for Henryville High School athletics. The students in Henryville are trying to make sense of this horrible catastrophe and many of them are grieving for family and friends who were lost in the disaster. 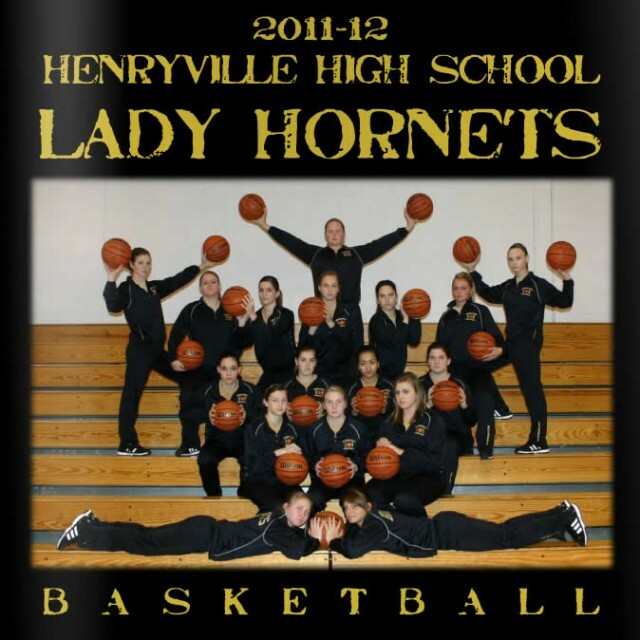 Helping the black and gold Hornets find some normalcy in their lives through the reinstatement of their high school athletic programs is just one small way we can all help. The IHSAA will be collecting funds during the upcoming boys basketball tournament, but you can also make your donation online. If you would like to contribute, please do so by clicking on the “Donate” button below. 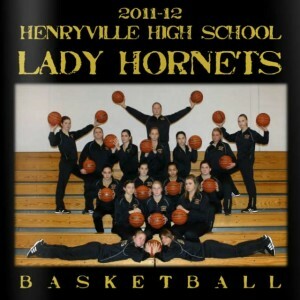 All donation funds are being managed by the IHSAA and will be 100% passed along to the Henryville athletic department. View the full IHSAA release regarding the Hoosiers for Henryville project. 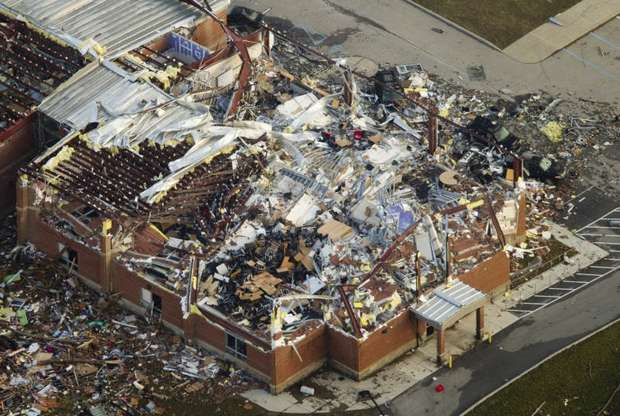 The Henryville Hornets gymnasium prior to the devastation of the tornado.